As an auto repair shop, service center, or fleet maintenance facility, when you need transmissions rebuilt or parts, you need the right products in a hurry. You can relax when you contact Transmission Remanufacturing Company, knowing that you'll find what you need here. You'll talk with one of our expert customer service representatives – someone who actually knows and understands rebuilt transmissions inside and out – so you'll get the products and the support you make your job easier. And with our huge assortment of products in stock, you'll save money too. And because we ship immediately, you'll have happier customers who will be amazed at how quickly you fixed their vehicle's transmission. Whether you're looking for one of our rebuilt transmissions, torque converters or those hard-to-find hard or soft transmission parts, you can depend on the specialized and experienced service that makes Transmission Remanufacturing Company so trusted. You'll not only get the rebuild transmission or part you need, but you'll also get friendly, knowledgeable customer service that will make you glad you called Transmission Remanufacturing Company. 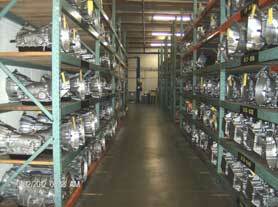 You'll be able to order from an inventory of more than 1,000 transmissions, and a comprehensive selection of parts. You'll also appreciate pricing that's some of the most competitive in the industry, and quality backed by a warranty that can be adjusted up or down to meet your or your customer's requirements. 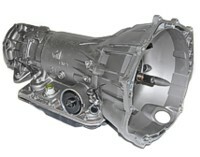 • Learn about Transmission Remanufacturing Company's warranty. 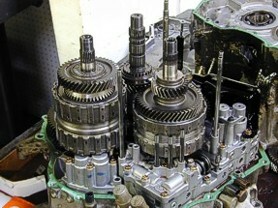 • Contact TRC now to get a rebuild transmission quote. • Torque Converter Specsheet 618 47RE & 448RE. 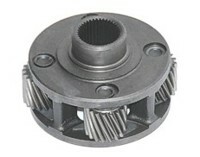 • Torque Converter Specsheet E4OD & 4R100.